Began as a crafts fair on the lawn of the Lakeland Public Library, Mayfaire by-the-Lake has grown into one of Florida’s premier outdoor art festivals. Held on Mother’s Day weekend each year, Mayfaire is located on the shores of beautiful Lake Morton in downtown Lakeland, Florida. 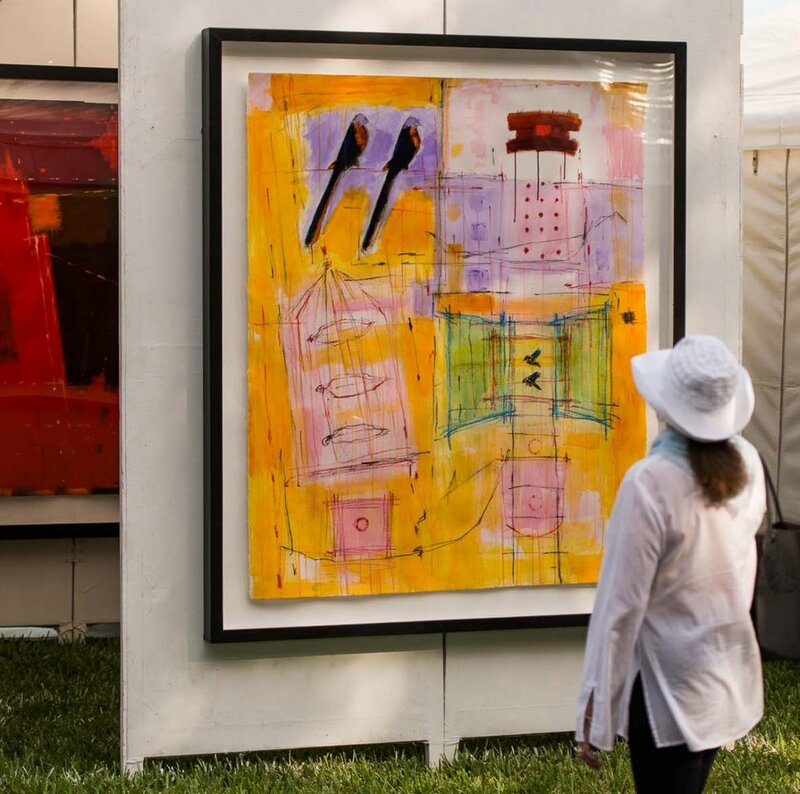 Mayfaire is one of the largest and oldest outdoor art festivals in Central Florida, ranked number 45 among Sunshine Artist Magazine’s “200 Best Art Shows” in 2018. Come see why it has such a great reputation! With so many pieces of art to choose from, you’re sure to find one you love! There are jewelers, clay artists, painters and photographers displaying artwork for everyone to enjoy. Mayfaire is for anyone who enjoys all varieties of artwork. Come see why Mayfaire is rated one of the top art shows in Florida. Interested in displaying your work at Mayfaire by-the-Lake? Find out about the application process, deadlines and more by clicking below.